Shoko Asahara, the man behind an unprecedented string of heinous crimes in the 1980s and 1990s who was executed Friday at age 63, grew up visually impaired and faced various setbacks in his childhood as he sought to make something of his life. Formerly an acupuncturist, Asahara founded religious sect Aum Shinrikyo and eventually became its revered guru. The group attracted tens of thousands of followers in Japan, including many highly educated young people, and branched out overseas into countries including Russia. Asahara, whose real name was Chizuo Matsumoto, was born in Kumamoto Prefecture in March 1955 as one of seven children in a financially-strapped family. With severely limited vision in his left eye and vision problems with his right eye as well, Asahara was sent to a prefectural school for the visually impaired in his home prefecture. He was seen as smart but did not take any leadership roles in sports or student government. Later, he took — and failed — the entrance examination for the University of Tokyo. He married in 1978 and fathered six children. After leaving school, he opened a pharmacy in Chiba Prefecture but was arrested in 1982 for selling unauthorized medicine. In 1984, he launched the cult’s predecessor group, Aum Shinsen no Kai, which opened a yoga school. Three years later, it was renamed Aum Shinrikyo. 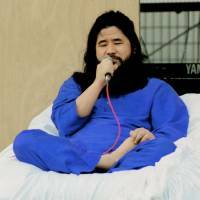 Many young followers severed ties with their families and started living in Aum facilities, donating cash and belongings to Asahara. Educated young people with expertise in science also filled Aum’s top ranks. Asahara’s emergence came amid a boom in new religions in the 1980s. In the period, many young people felt alienated by the culture of consumerism and success generated during the country’s asset-inflated bubble economy years. “Those who sought spiritual happiness, instead of the material abundance during the bubble economy period in the late 1980s were drawn to Aum,” Hiromi Shimada, a scholar of religion who researched Aum extensively, said in a speech in 2015. He used a mixture of Hinduism, Buddhism, Christianity and yoga to draw followers. They took part in bizarre rituals, such as drinking his bathwater and wearing electrical caps they believed synchronized their brain waves with Asahara’s. Former followers would later say they were given hallucinogens such as LSD as part of religious practice. With his beard and long hair, Asahara projected himself as a “savior,” claiming to have achieved enlightenment from an ascetic experience in the Himalayas, and told his followers he was the reincarnation of Shiva, the Hindu god of destruction and regeneration. The self-styled guru, who also said he could teach levitation and telepathy, told his followers that the world would end in Armageddon and promised to lead his followers to salvation. “World War III will certainly occur. I will stake my religious life on that,” he said in a lecture in 1993. Asahara also dipped into politics, running unsuccessfully with top members of Aum Shinrikyo in the 1990 general election for the House of Representatives. Prosecutors believe the electoral defeat is what spurred Asahara to begin plotting the murder of members of the public for revenge. Mass production of sarin nerve gas also gained traction at this time. He chose doctors, lawyers and scientists from Japan’s top universities as his top aides, making them ministers of his pseudo-government of the Aum empire. They worshipped him and carried out his orders. Aum also condoned murder as a path to salvation. Even after his arrest in May 1995 — two months after the 1995 sarin attack on the Tokyo subway system — Asahara continued to speak in religious rhetoric, saying a miracle would happen and that he would not have to stand trial. But the miracle he spoke of never occurred, and his trial started in April 1996. 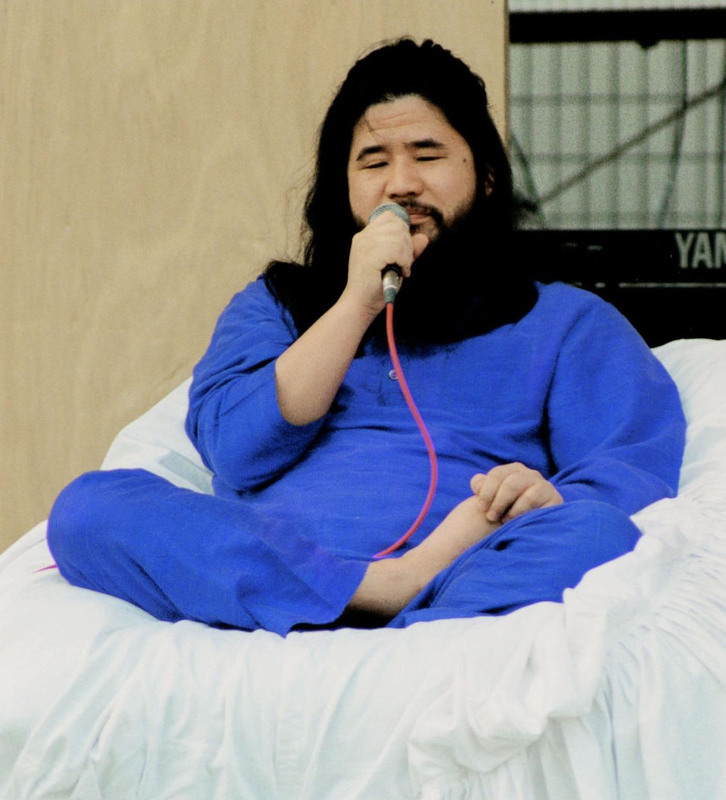 Halfway through the proceedings at the Tokyo District Court, which lasted almost eight years, Asahara fell silent, leaving Aum’s crimes mostly unexplained by its leader. Asahara was sentenced to death in 2004.